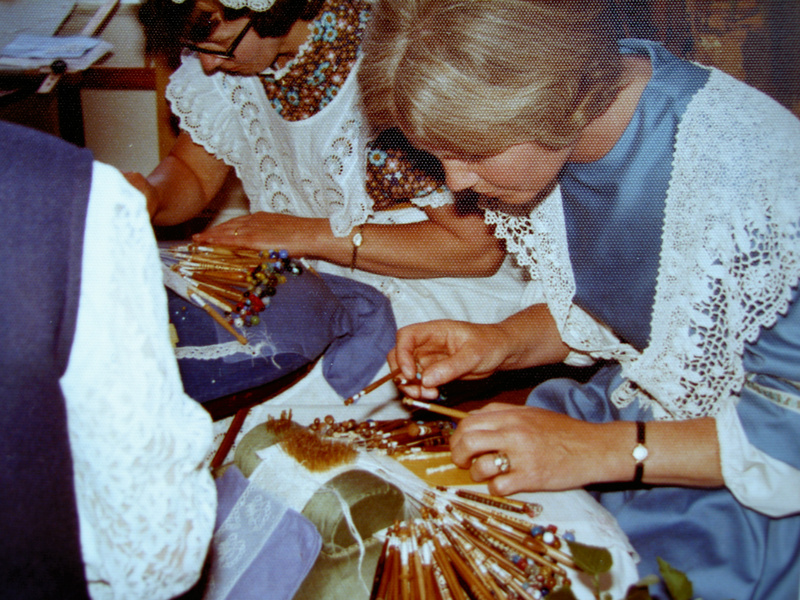 Demonstrating bobbin lace at South Hill Park Arts Centre back in the 1970's! Tonder pattern being worked in previous photograph, whilst demonstrating at South Hill Park Arts Centre, Bracknell, Berkshire. 1970's! 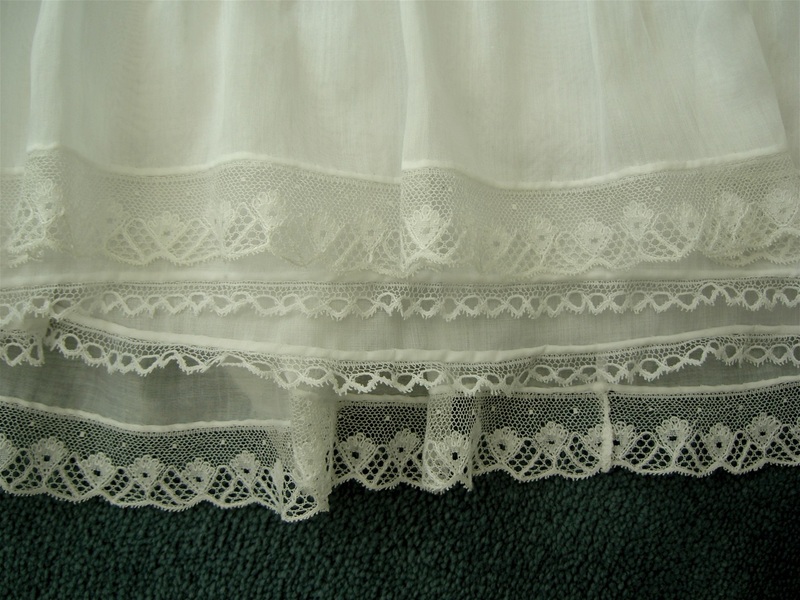 One day my pillow suddenly came to life with dozens of tiny insects no bigger than a pin point, crawling all over my lace! 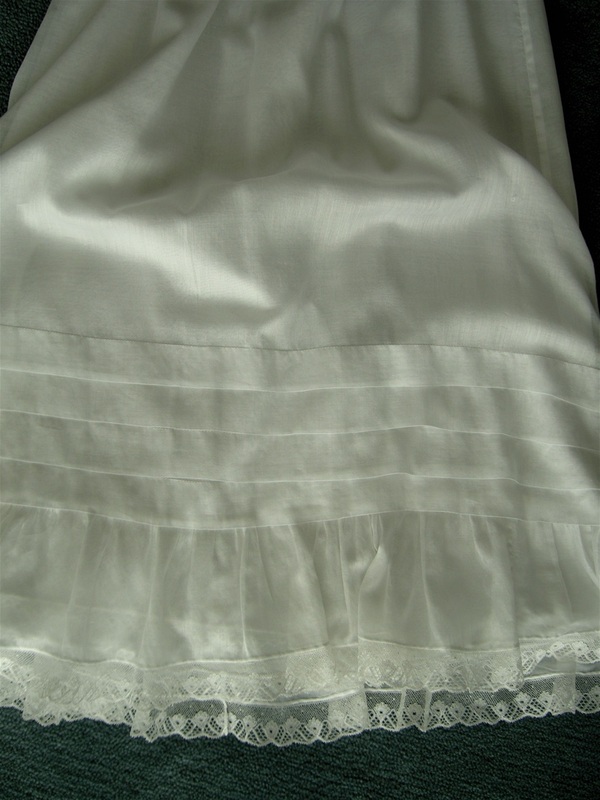 Solution, cut off the lace and put pillow in the freezer! Original sketch idea for detachable pockets for my C & G Assessment 1979/80. One of my C & G Assessments back in 1980! 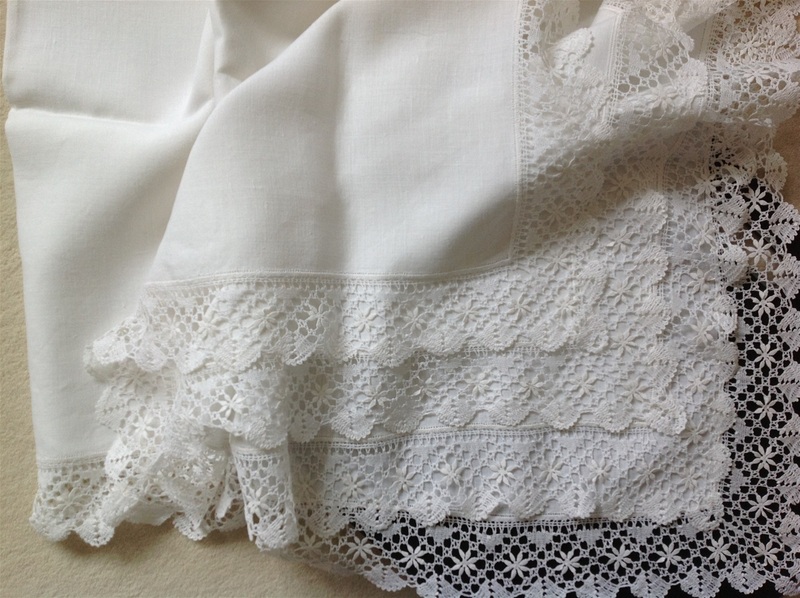 Worn with a white cheesecloth dress. 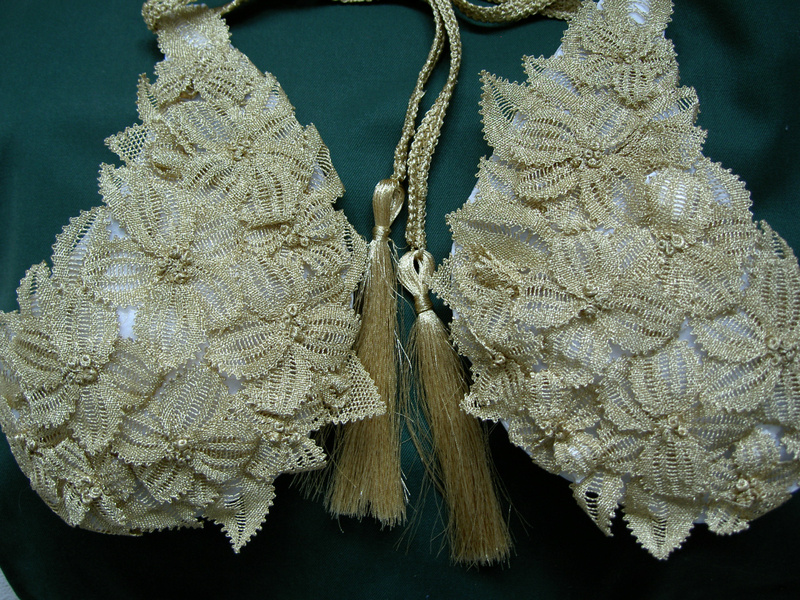 A Bedfordshire collar started in the 1970's and never completed! Torchon edging also never finished! Another 1970's piece that is still at this stage! Honiton sample started 40 years ago and still on the pillow! 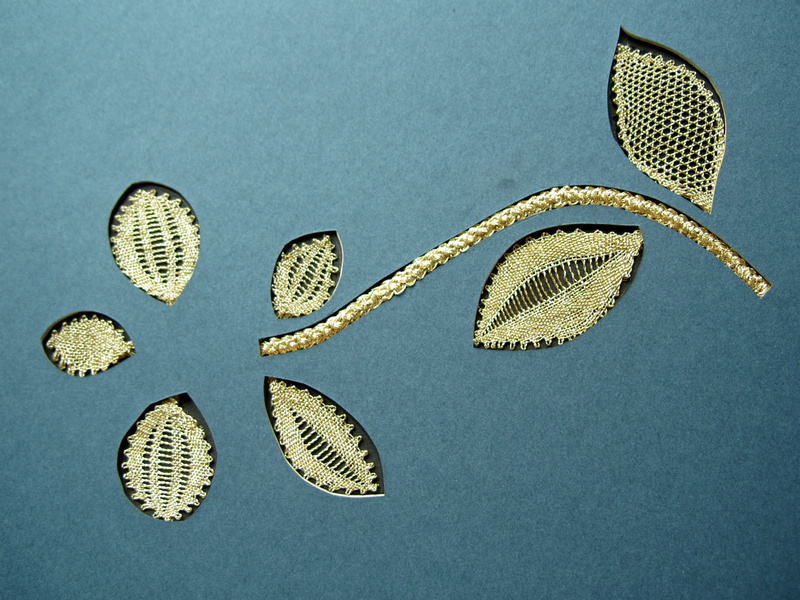 However, I did complete the two little 'tap' leaves! 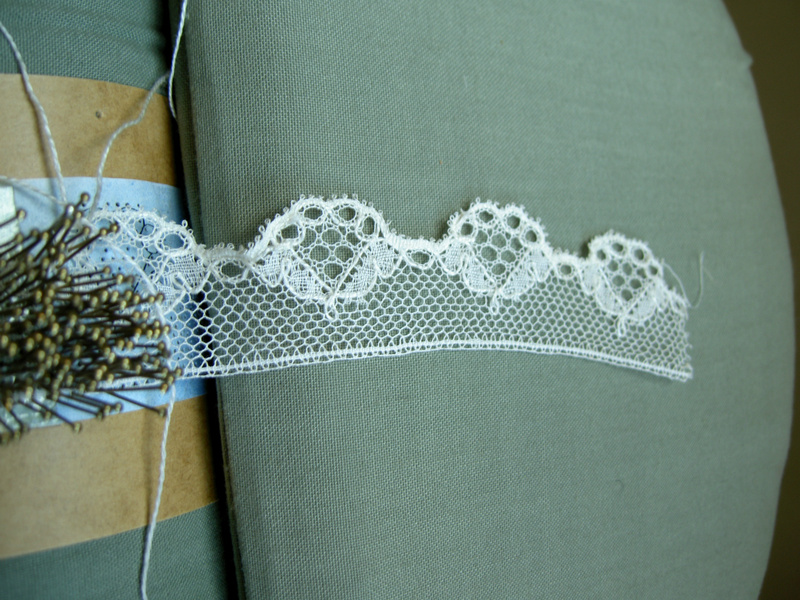 I'm afraid that needlelace just took over from the bobbin lace. 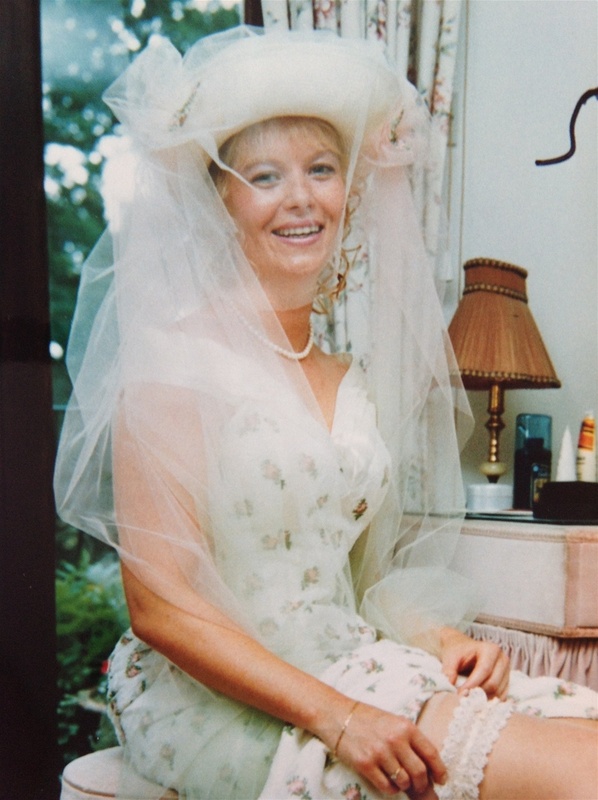 My daughter on her wedding day and wearing the completed garter. 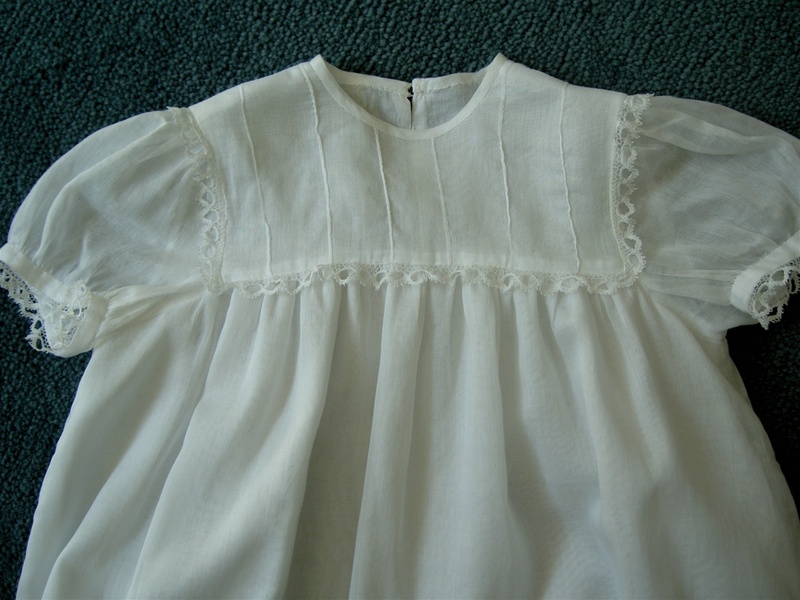 Granddaughter Ella wearing the christening gown made in the early 70's but not worn until some 30 years later! 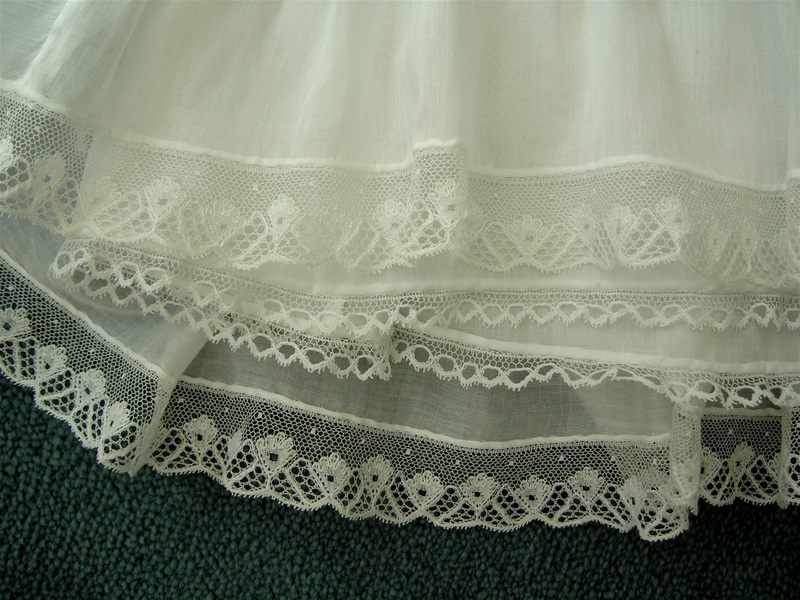 Bottom frill of christening gown. Bucks edging worked from a pattern in the little Channer book. 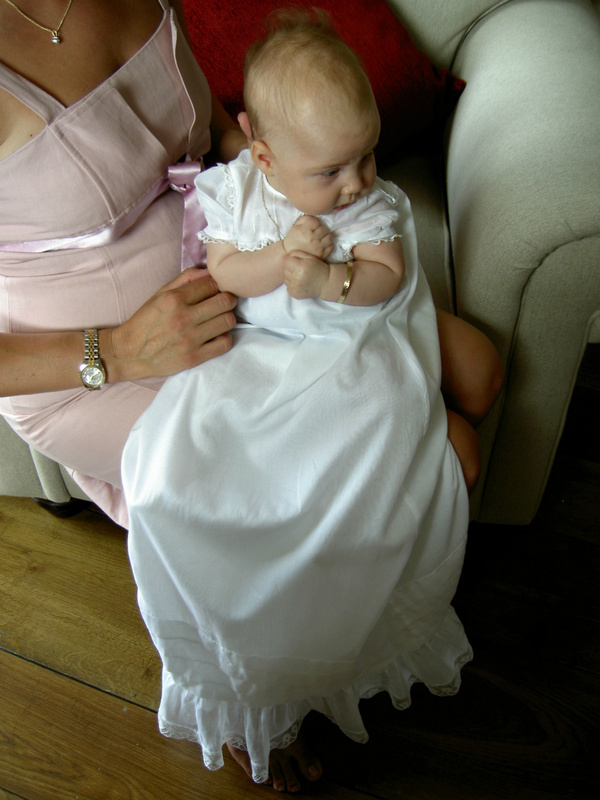 Crochet shoes (purchased in Spain some 30 years earlier) worn by my grand daughter along with the christening gown also made 30 years earlier! 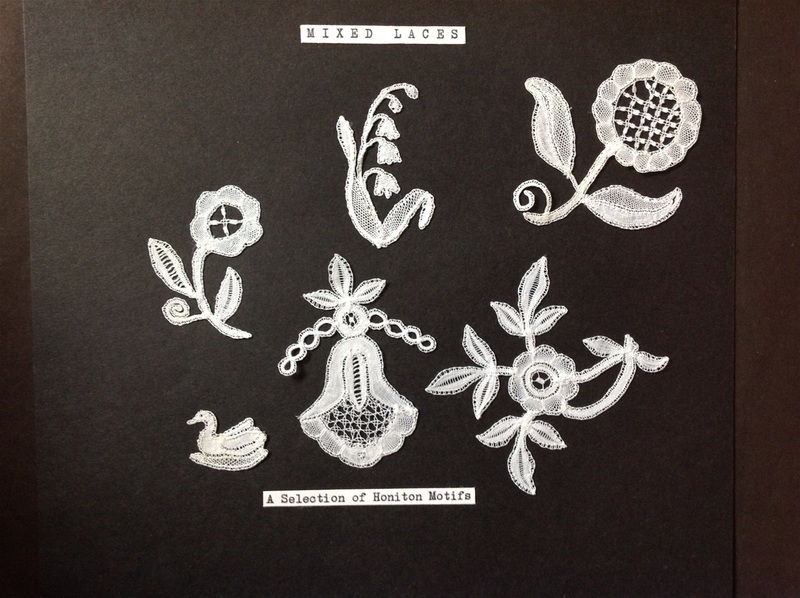 Selection of Honiton motifs worked 1978! Torchon edging for a supper cloth made in the mid 70's - one that I did actually finish and that has been used and laundered many times over the years! 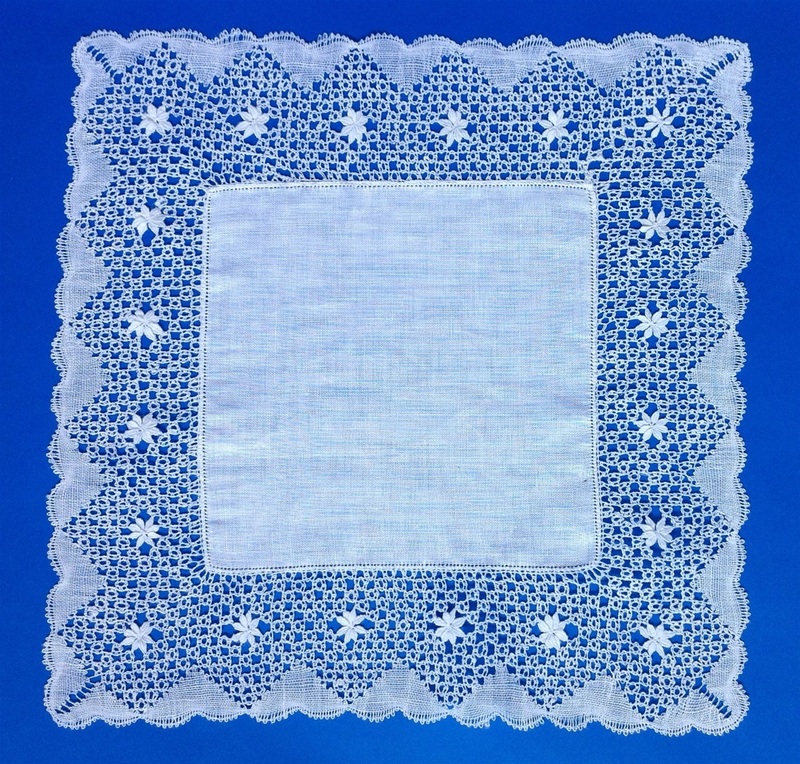 Torchon handkerchief worked some time during the 1980's. 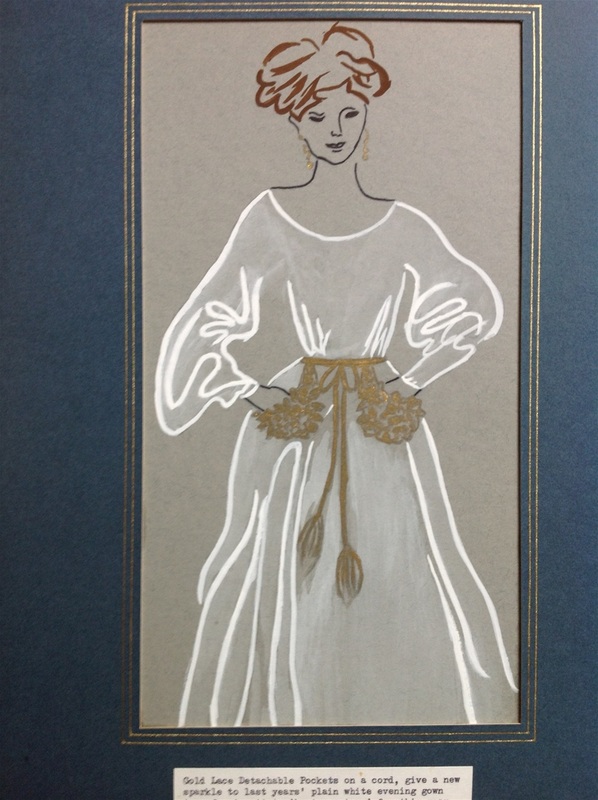 Pattern from The Lace Society magazine but I have no recollection as to who may have designed it. 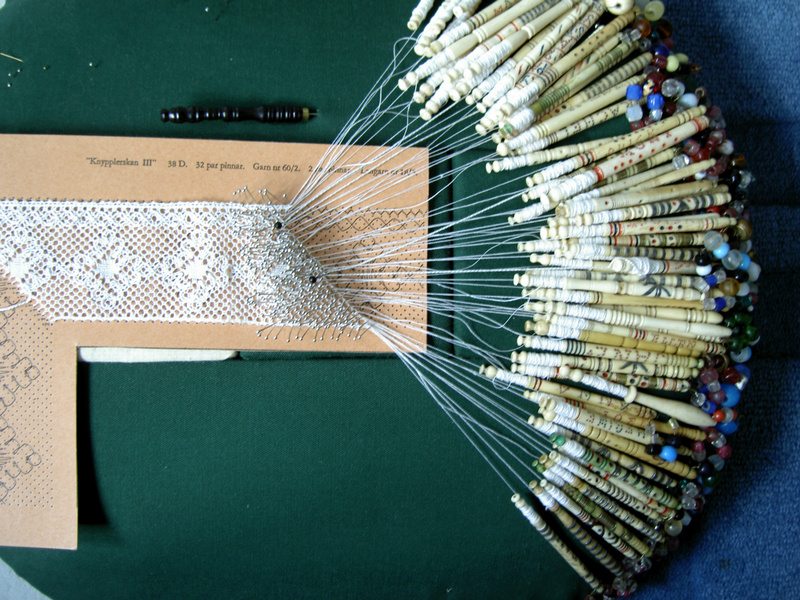 Many of you are probably not aware that I started my teaching career by teaching bobbin lace in the early 1970's and had probably looked at many examples of needlelace, assuming that they were bobbin lace as I had no knowledge whatsoever of this type of lace at that time. 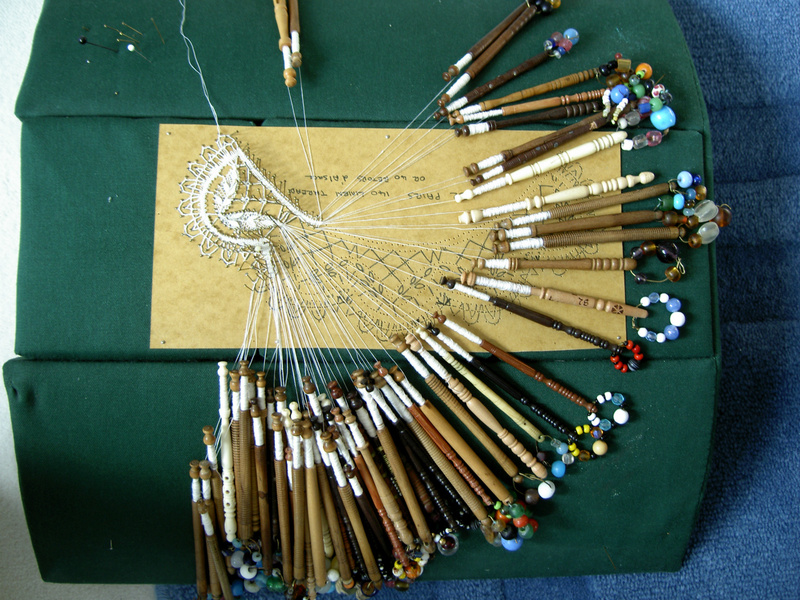 It wasn't until I enrolled on a two year C & G Creative Textiles course in 1978 at Windsor & Maidenhead College, Berks that I was introduced to needlelace, which I did not particularly enjoy at that time but much preferred my lovely bobbins. 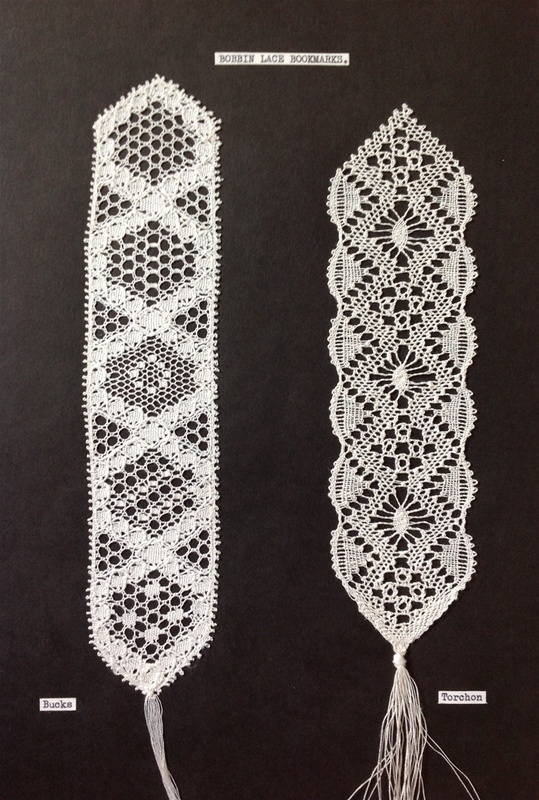 Nenia Lovesey was our tutor and we struggled using the equivalent of blackout curtaining on which to work our needlelace samples (no sticky-backed plastic in those days). 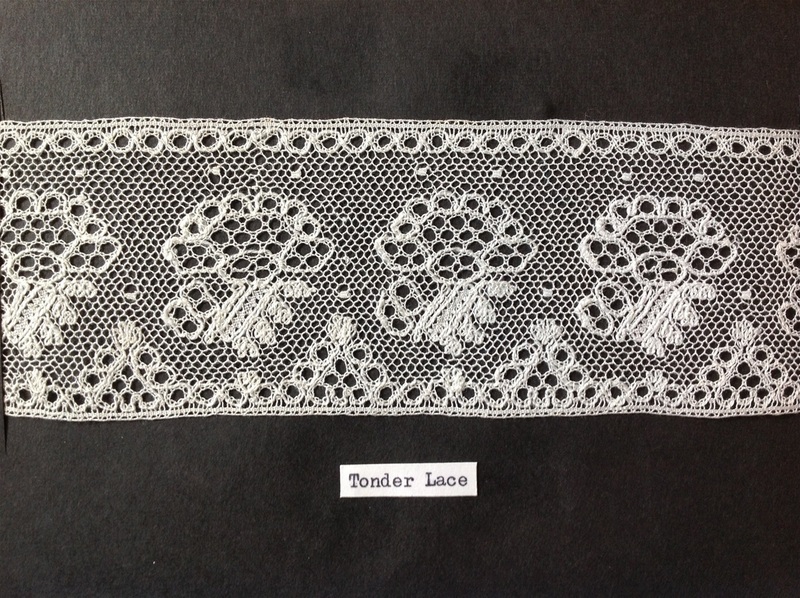 I recall how frustrating it was trying not to catch the material whilst working and had no interest in furthering my knowledge of this lace. However, once the exam was over and results in, we were all able to relax a little and I became curious to learn more about it, as to my knowledge there was no one else who knew how to make it. 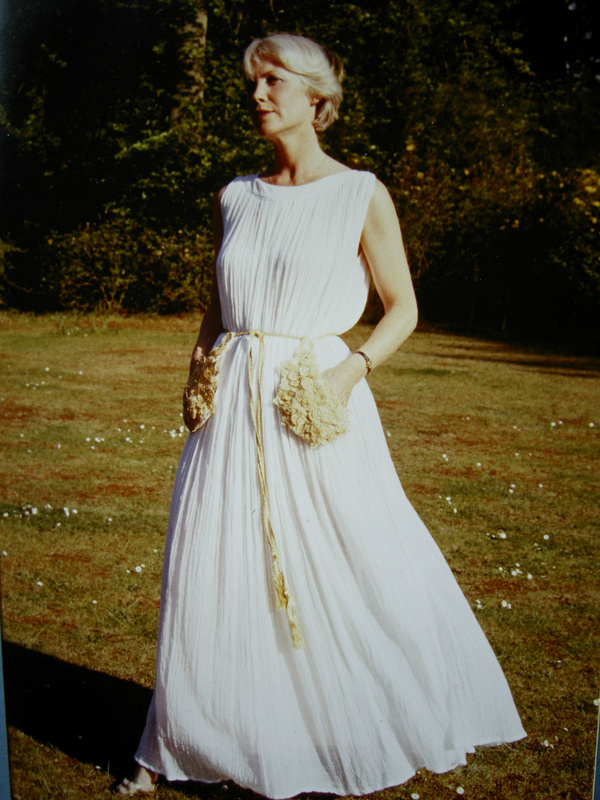 Pat Gibson, Doreen Holmes and myself all lived close to Nenia and had the advantage of seeing her on a weekly basis. 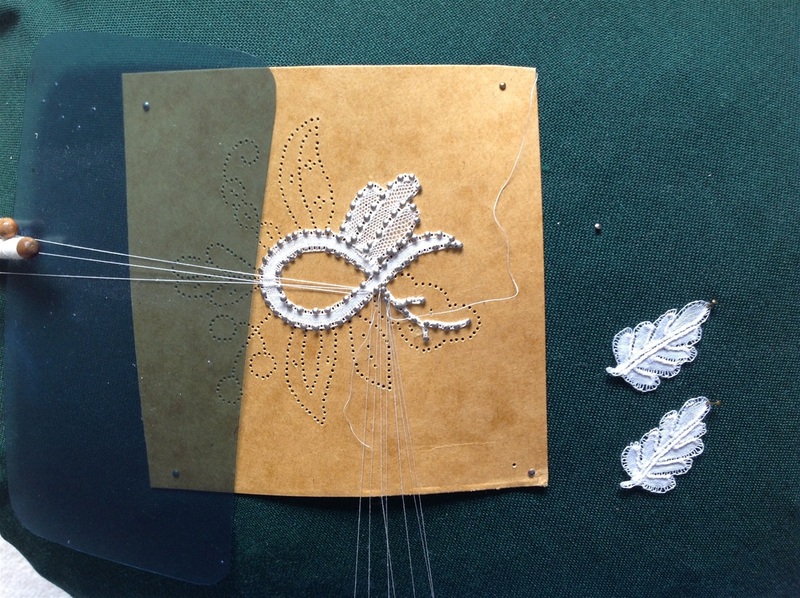 There were plenty of classes and tutors to teach bobbin lace but none other than Nenia, to teach the needlelace, so I decided this would take priority over the bobbin lace! 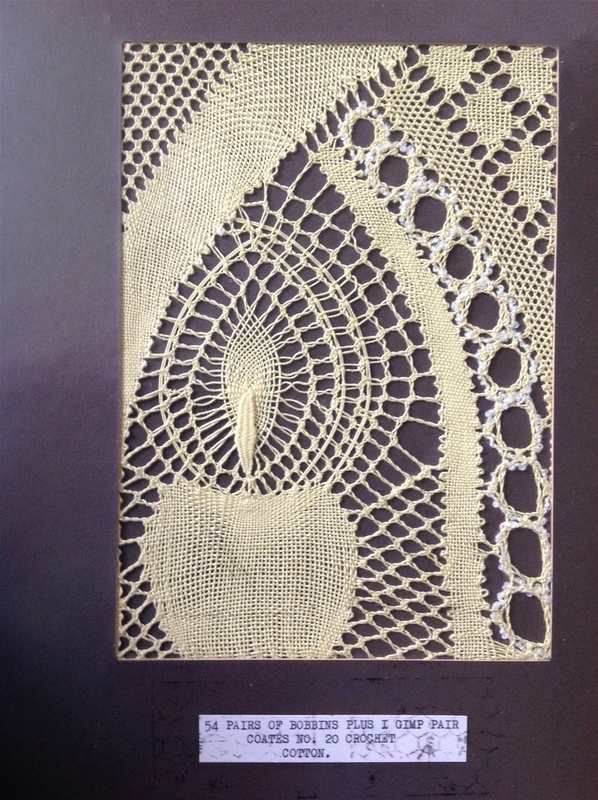 I have recently had the good fortune to meet up with the lady sitting next to me whilst demonstrating bobbbin lace (see photo above) along with several others whom I taught bobbin lace back in the early 1970's. I have been left way behind and would now need to take lessons from them, as they have all gone on to expand their knowledge and expertise. 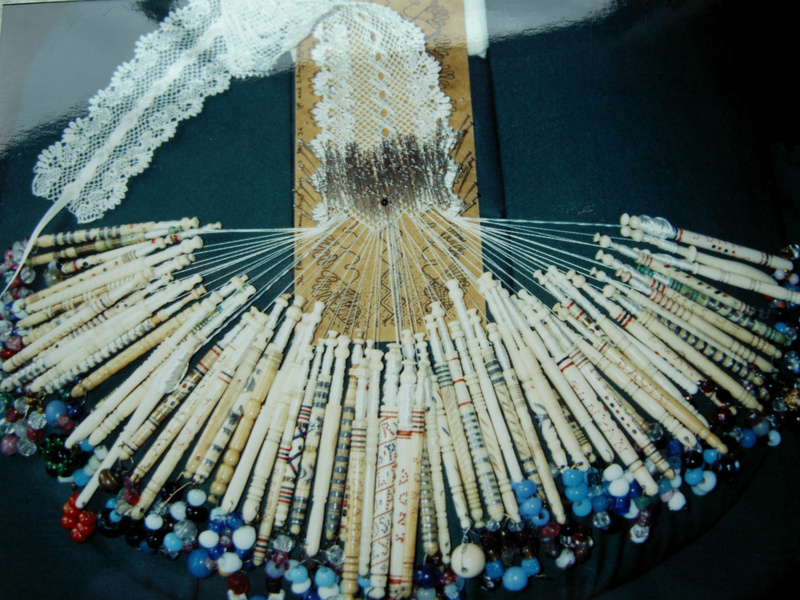 Below are just a few examples of my bobbin lace work as these were made long before the days of computers and digital cameras and I have little record of those days.